"Esmeraldita" - meaning "little Esmeralda" is simply put a beautiful, cute boat! Her lovely lines might make you think she is a classic timber boat, however she is a full fiberglass boat. What a great deal: Getting the timber looks with the fiberglass maintenance! 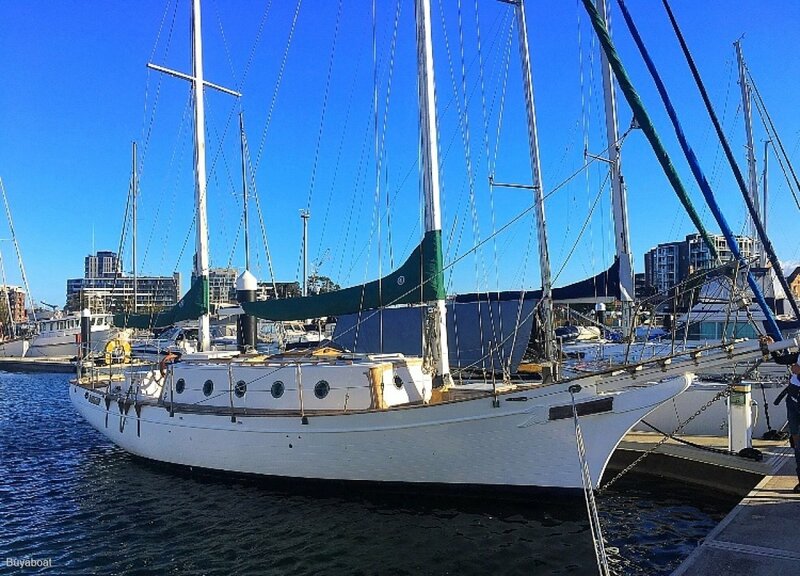 This stunning 38 ft ketch underwent a 5-month refit, which unfortunately could not be finished by the current owners due to personal changes. The current owners are shipwrights and have worked all their life in the marine industry, so the work done is of high quality and only the best marine products were used. The vessel is still in need of love and someone wanting to take on a project with an amazing reward once finished. A lot has been done already: cabin side replaced, rot repair, leak repair, electric toilet put in, new wiring, new sump bump, new bilge pump and a complete new diesel Nanny engine is ready to be installed. The boat's hull is in very good condition, the refit it underwent has made the boat watertight with no leaks! A fiberglass hull, looking like a timber boat is a rare find and the owners are very sorry to let her go! She is a true beauty and does not need a lot to be finished and enjoyed! If needed, the owners are happy to provide reliable contacts, such as marine mechanics, shipwrights etc who can help finish the work. Brand new engine, needs to be put in! This is a project boat, either to tinker along during your free time or getting a professional on board to help you finish it sooner. For more information or to book an inspection please contact Ann from buyaboat on 0433969331.